You have a big weekend party planned, and your kitchen lights aren’t working. You can’t figure out the cause, and on a Friday night how are you going to get it fixed? You need an emergency electrician in Botany, and Paul’s Electrical Services is the one to call. 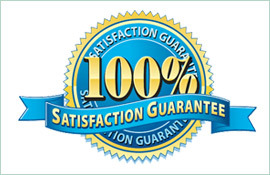 We are the residential electric professionals and have over 18 years of experience in the industry. 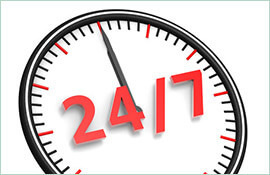 We offer 24/7 service from highly trained electricians, who will arrive on time and get the job done right the first time. We focus on quality work, done quickly and with care. Even better, our truck is fully stocked and ready to go. This means that most jobs can be done right then, without sending out for parts. Paul’s Electrical Services knows that when you need an emergency electrician in Botany, you really need one fast. Every minute without power can be agonising. That’s why we get there fast, prepared to fix the problem as soon as possible so you can get back to living your life. 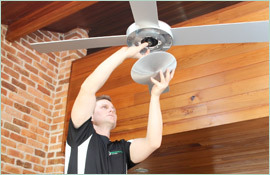 When you call, our friendly staff will make the process easy for you, whether you’re calling about putting in a power point, a ceiling fan, or doing an electrical overhaul. We can install electrical appliances like hot water heaters and ceiling fans, diagnose electrical problems, and install lights and switches. We even handle power pole issues. 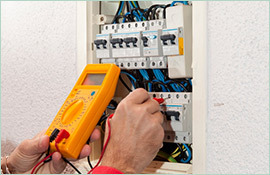 When you need an emergency electrician in Botany, call Paul’s Electrical Service on 0409 337 439. We’ll be there on time and get it fixed.